The number of passengers served by Russian airlines in March grew by 19.5% year-on-year to 6.962 million, reads a revised traffic statistics report by the Federal Air Transport Agency (FATA). FATA’s original report put the March growth rate at 17.7%. Similarly to the previous months, international passenger traffic continued to grow faster than domestic traffic. Domestic traffic grew by 13.4% year-on-year to 4.335 million passengers, while international traffic reached 2.627 million passengers (up 31%). Passenger figures to and from destinations beyond CIS countries were the fastest growing at 35.7% to 2.082 million passengers. FATA’s revised report says revenue passenger kilometers grew 25% in March to 17.61 billion. The overall seat occupancy rate grew 1.9 percentage points to 79.8%. The domestic and international seat occupancy rates demonstrated differing trends, with the figure for domestic flights declining by 1.5 percentage points to 75.1% and that for international flights growing by 4.5 percentage points to 83.7%. The difference in the development vectors somewhat reduced as compared to the February results. This active traffic growth, particularly on international routes, is explained by the ongoing market recovery following a prolonged crisis, backed by a revival of the Russian economy, the gradual strengthening of the Russian ruble’s exchange rate, and operators’ fleet expansion efforts following a period of dramatic capacity cuts that outstripped the dip in demand for air travel. The Q1 traffic results put Rossiya Airlines (a subsidiary of Aeroflot Group) in the second position, with S7 Airlines coming third. Flag Carrier Aeroflot’s Q1 passenger traffic grew 12.6%, whilel Rossiya’s figures rose by 131.5% (if the airline’s merger with Donavia and OrenAir is to be taken into account, Rossiya’s traffic grew by 27.8% in March). S7 Airlines saw its traffic grow by 0.2%; UTair Aviation, by 21.3%; and Ural Airlines, by 28.1%. 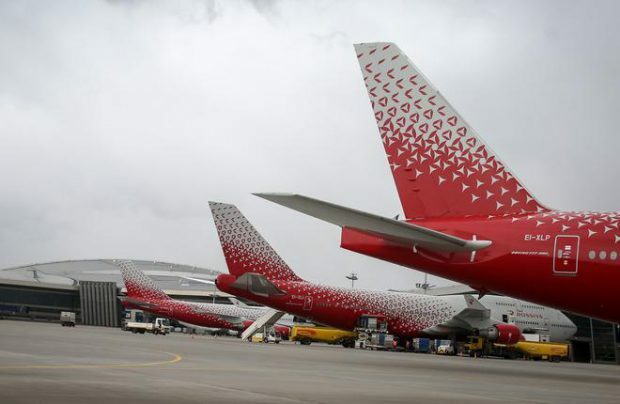 Russian charter operators demonstrated exceptionally high growth rates: Royal Flight had 165.7% more passengers; NordWind, 109.4% more; Pegas Fly (formerly Ikar), 92.7% more.